If you’ve spent any time in Brussels, you’ve probably noticed the Palace of Justice’s hulking form, covered in scaffolding, towering over Place Poelaert. But few visitors peek inside this enormous building, even though it is free to enter, and definitely worth a look around. Over the years, I’ve walked many a visitor to Place Poelaert to admire the view over central Brussels. Inevitably, they ask questions about the giant, scaffolding covered building towering overhead. 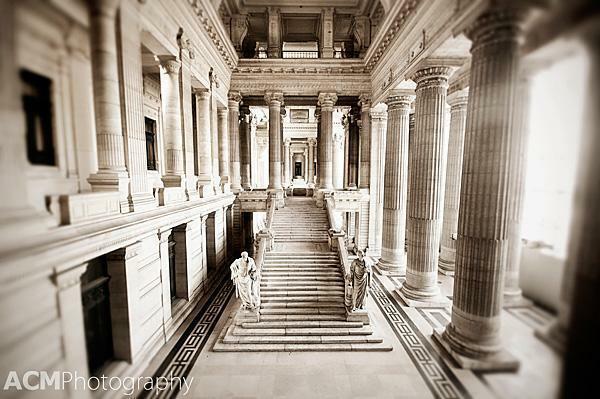 Although I can spout much of the history of the Palace of Justice, until this summer, I had never been inside. As the name suggests, the Palace of Justice houses the law courts of Belgium. It was the largest building constructed in the 19th century and, at 160 by 150 meters, is even larger than St. Peter’s Basilica in Rome. However, there was a great deal of controversy surrounding its construction. Leopold I, the Belgian King responsible for some of the country’s most famous buildings, held a contest for the design of a new law court building. However, he rejected all of the blueprints and the minister of Justice appointed his own architect of choice, Joseph Poeleart. Poeleart’s design required the demolition of a large section of the Marollen neighbourhood and hundreds of working-class residents were forced to relocate to Tillens-Roosendael, in Uccle. Meanwhile 75 landlords of the demolished houses received large cash settlements. Poeleart’s design was criticised by the general public from the start, and even causeed the word ‘architect’ to become a bitter insult in the local dialect. But love it or hate it, the Palace of Justice was here to stay. Since 2003, when renovations began on the 24,000-ton dome, the Palace of Justice has been hidden behind a shroud of scaffolding. In keeping with the building’s history of controversy, the company responsible for the renovations went out of business and now there is a heated debate as to who should be responsible for the cost of removing it all. If you pass beyond the scaffolding, you can discover the Palace of Justice’s dramatic architecture. The building is open to the public (unless there is a particularly sensitive case being argued inside). You can wander freely inside the main lobby area, under the gigantic dome. Before you even pass through the giant main doors (top) you can see Poeleart’s dramatic architecture of the Palace of Justice. 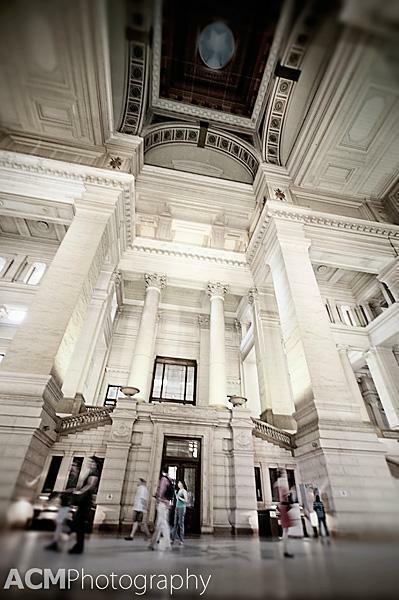 Light filters through the scaffolding and into the magnificent entryway of the Palace of Justice. 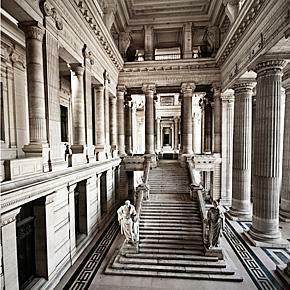 The main lobby of the Palace of Justice is open to the public daily. Look up. 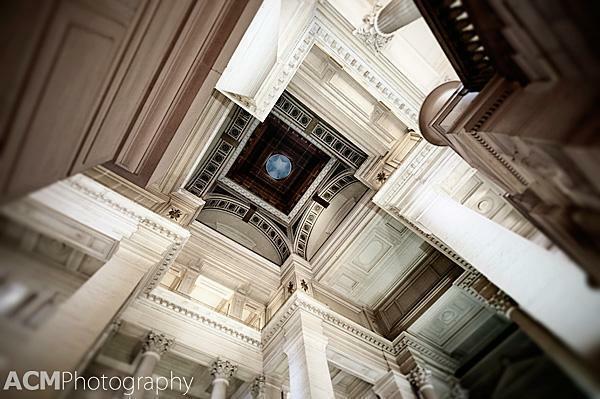 Look waaaay up… into the dome of the Palace of Justice. 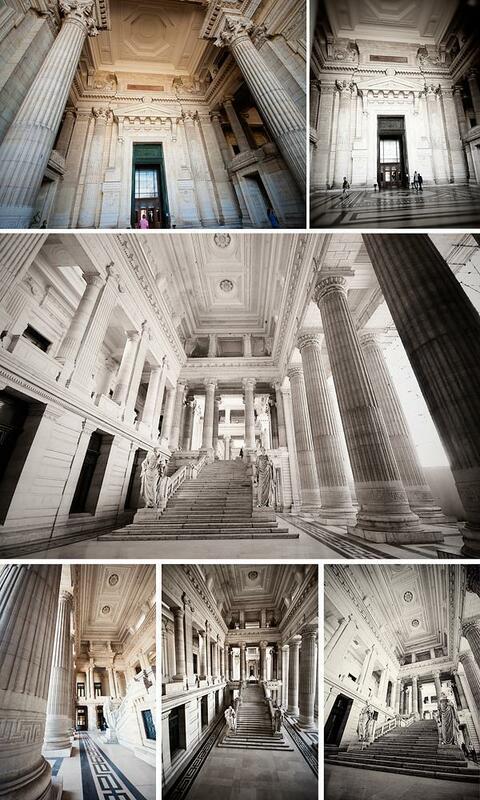 Have you visited the Palace of Justice? Tell us what you thought of it in the comments below.